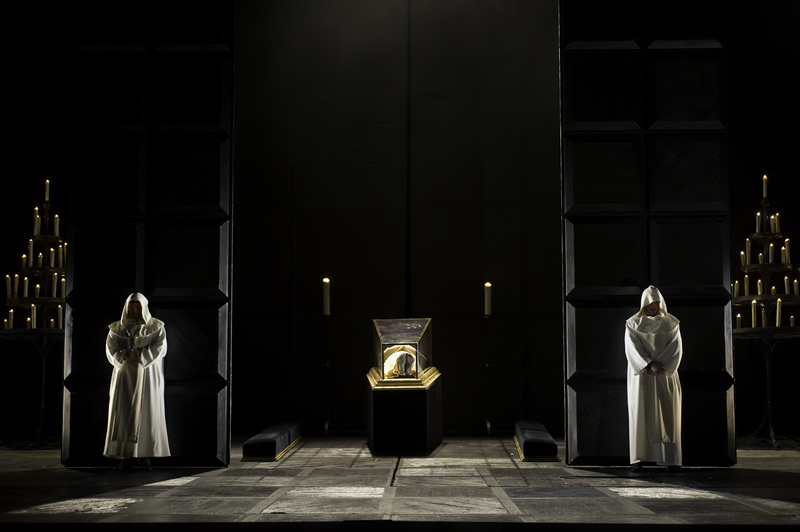 In 1846, Verdi had to decide between Schiller’s Die Räuber, and Shakespeare’s Macbeth for a new commission in Florence. He produced both in 1847, with the Schiller (titled I masnadieri) going to London, and the Shakespeare to Florence, the choice depending on the singers available. 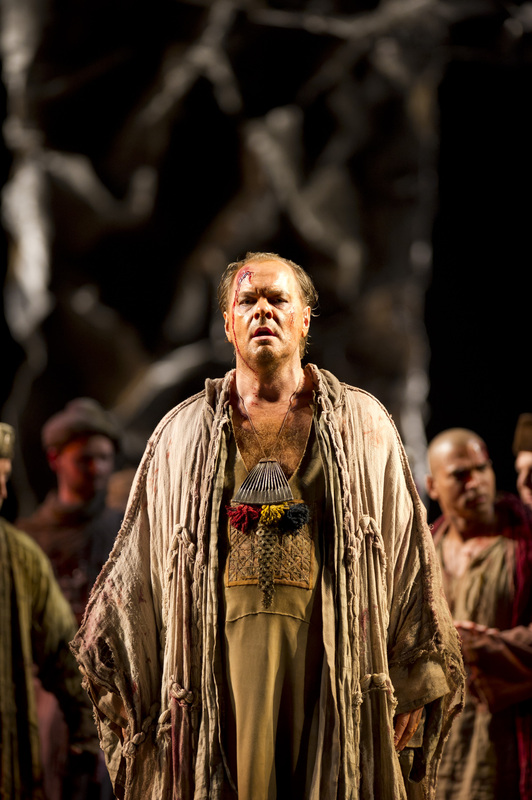 Macbeth needed no leading tenor but it did need a first rate baritone and soprano, and here we had them both in Simon Keenlyside and Liudmyla Monastyrska. She was a hugely powerful Lady Macbeth, her voice cutting through and soaring above the orchestra and all the other singers, including the chorus. Keenlyside by contrast has a wonderfully warm tone and superb ability to inhabit the roles he sings, but there was a lack of chemistry between the two of them on the first night. He seemed unnecessarily subdued, but after she dies in Act IV, his confessional Pietà, rispetto, amore in the next scene was superbly sung, giving us the Keenlyside I have admired so much in roles such as Rodrigo in Don Carlo. As Banquo, Raymond Aceto was terrific, reminding me of his superb performance in last October’s Rigoletto as the murderer Sparafucile. 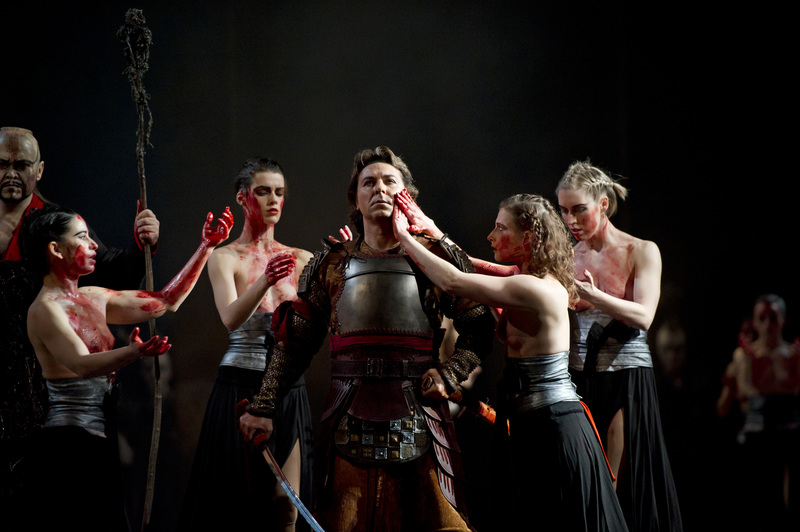 In this production he is left lying at the front of the stage after being murdered in Act II, and his little son, Fleance reappears from hiding to go to his father’s body before fleeing the stage. The body remains there for the banquet scene, rising up when Macbeth sees the vision of Banquo’s ghost. 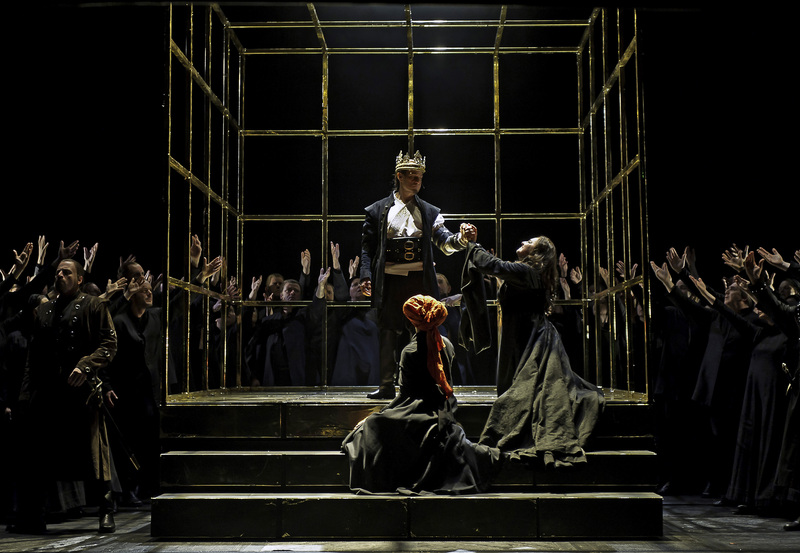 This production by Phyllida Lloyd contains several good ideas, and in the banquet scene both Macbeth and his wife are dressed in gold, reminding us of King Duncan at the start of the opera. 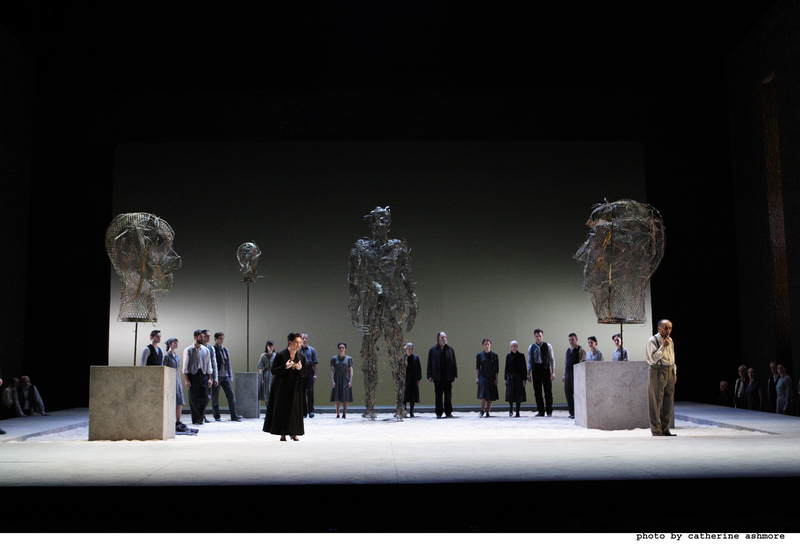 The tall sets, and in Act III the appearance at stage rear of multiple golden kings on horses again reminiscent of Duncan, show that Macbeth is caught up in something far larger than he realises, and Keenlyside brought this over very well. The nature of his marriage is intimated by the beds on which he and his wife lie, and her problems are silently illustrated by the children the witches bring onstage to sit on the bed with her. We never quite know what to make of her earlier life and claim to have suckled a child, but this is a point of contact with that aspect of the play. 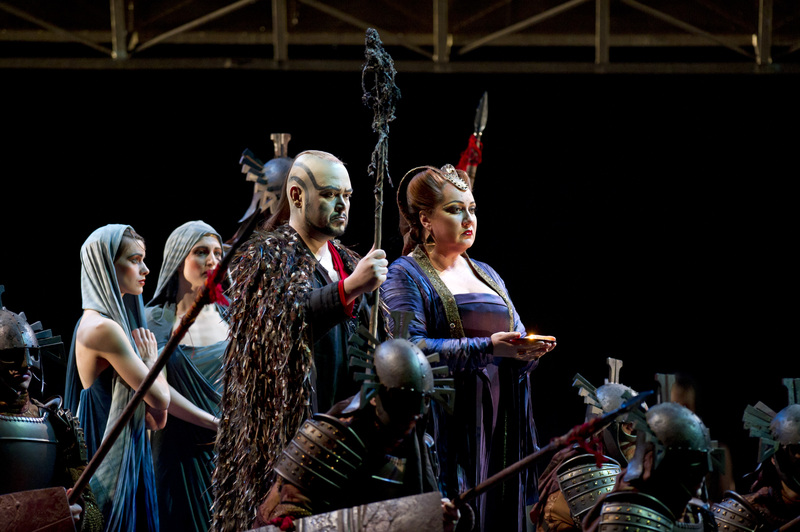 Among the other performers Dimitri Pittas sang Macduff, a role he also sang in the Metropolitan Opera live relay in January 2008, and I admired Elisabeth Meister as the lady-in-waiting. The chorus was wonderfully strong, and Antonio Pappano conducted this early Verdi opera with a fine sense of energy and sensitivity. I’ve not seen this production before, but I’m afraid I was somewhat underwhelmed, and not because of the singers. 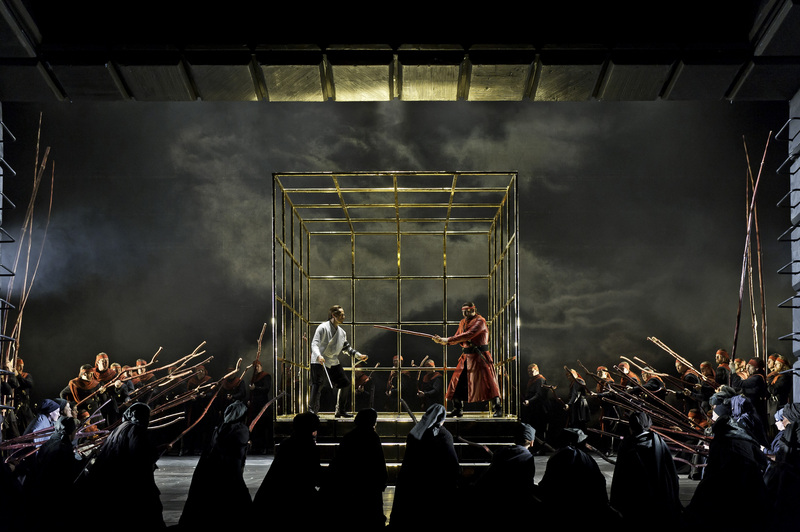 It’s difficult to say why, but for instance if you blinked you missed the murder of Macduff’s children, and the perpetual use of the witches as dark forces involved in the action — hiding Banquo’s son, for example — doesn’t seem to give the dramatic intensity that Verdi’s opera demands. This was his first Shakespeare opera and he was extremely concerned to get the drama right, bullying his librettist Piave to produce exactly the text he wanted, but somehow this production fails to bring out the right intensity of mood. 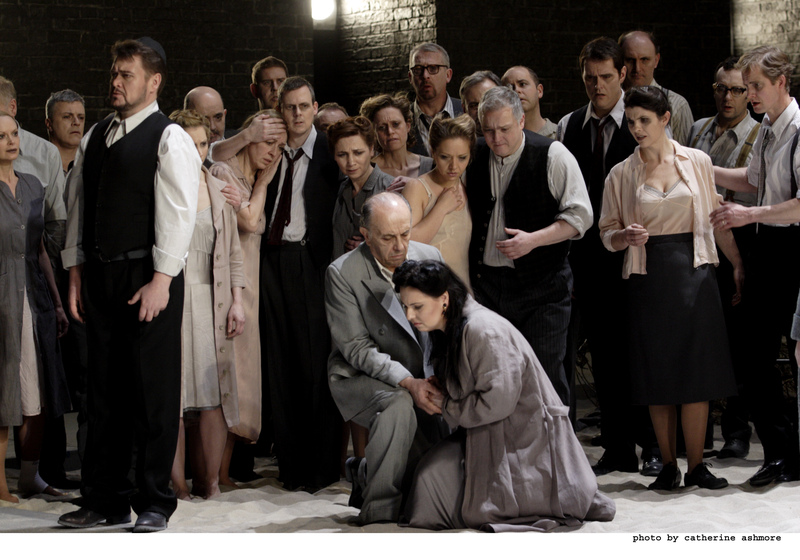 However, it was huge pleasure to hear Liudmyla Monastyrska as Lady Macbeth, with her superb vocal technique, and her breathtaking power. A live relay to cinemas will be given on June 13, and a BBC Radio 3 broadcast at 6 p.m. on Saturday, June 18. 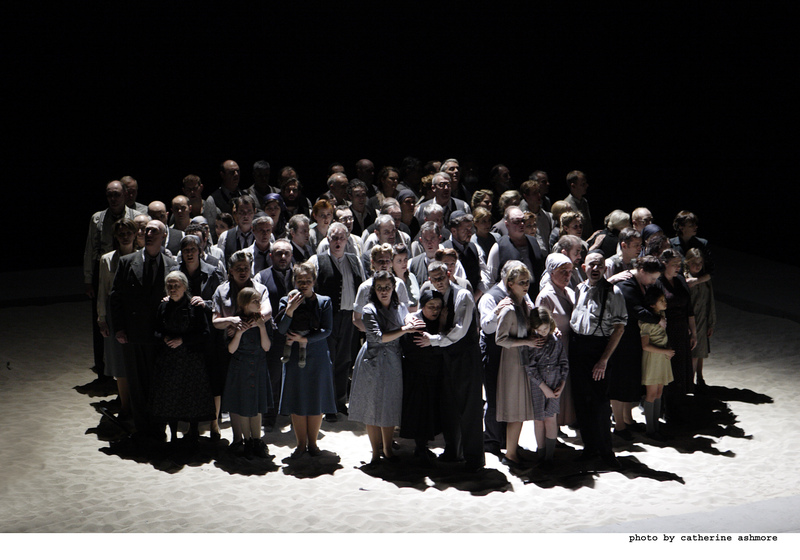 Performances continue until June 18 — for more details click here.